Click to enlarge Cataloochee photo with Chris Bates combing the slopes for today's visitors. 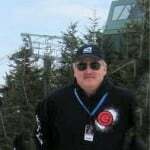 …by Cataloochee, Snowshoe and Wisp Resort. Snowshoe Mountain and Wisp Resort dropped the ropes a little later than Cataloochee this season making Cataloochee Ski Area the “leader” in the region in terms of the number of days that they have been open for skiing and snowboarding this season, among our member resorts. During most, typical ski seasons, we will see a day or two (or more) when resorts have to temporarily cease snow ops while awaiting more cold and snow. Not so this season. 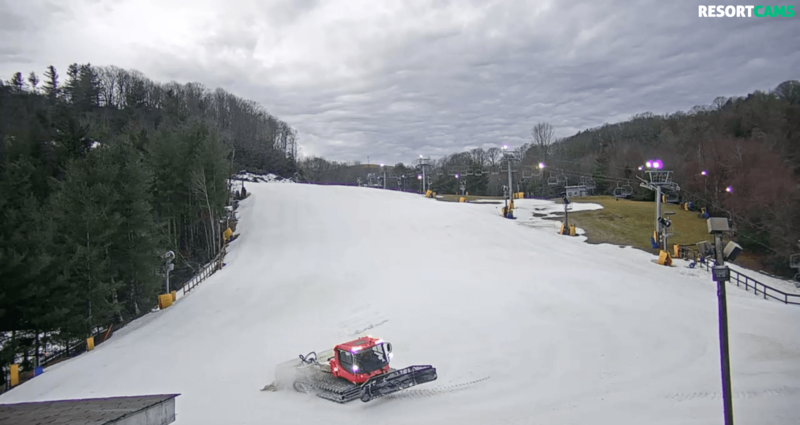 As we have shared on many occasions this season – that is a real testament to the huge investments that Chris Bates at Cataloochee and ALL of the mountain ops at ALL of the resorts in the region put into snowmaking equipment, technologies and the groomers, grooming crews, etc. A lot of people in the region only think about skiing and snowboarding being a ONE SEASON (Winter activity), however one season would make up 90 days or so annually. Most of the ski areas have a (100) day window that they attempt to hit. Some resorts tend to hit or surpass that, with only a few really coming in UNDER the 90 day window. However, when you look at ski areas like Cataloochee, who will hit the 137 day mark this season, that means they are offering skiing in the Fall, Winter and Spring! I’m certain that I will receive some emails from those who want to point out resorts out west – but we ARE talking about the southeast and mid-Atlantic here. WHILE ON THE SUBJECT OF CATALOOCHEE.. If you have a season pass to any other area and want to try us out, you get $10 off the cost of either a lift ticket or season pass whether or not that area is open. With many other areas closing, this is a great way to extend your season with us! You must show your current pass from the other area at time of purchase so that purchase has to be done in person.